Hello my darlings. 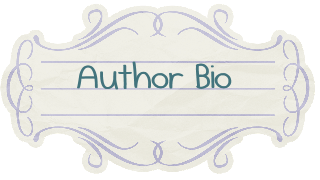 Today I will be sharing with you all a wonderful guest post from authors Sara Dailey and Staci Weber. They have co-wrote the "Pack of Lies" which is a Young Adult paranormal romance novel. Along with their guest post I will be sharing info about the book as well as the authors themselves. I don't know about you but I love learning about new and upcoming books and Pack of Lies sounds delightful. A mix of romance, shapeshifters, and werewolves. Oh My! I hope my readers will enjoy this post and learning about Pack Of Lies. Thank you so much for letting us stop by the blog and tell you all about our favorite place to write. Let’s see if you can guess it. It’s cold most of the time; it smells divine, and it full of colorful, wide-awake people. Give up? We always meet at our local Starbucks. There is just something about the energy of a Starbucks that gets the creative juices flowing (or maybe it’s just all the caffeine). We tried writing at other places in the beginning, but we always ended up back at Starbucks. It wasn’t long before we were considered “regulars.” We knew everyone and everyone knew us. There were days where we didn’t get much done because of that. Our first two novels were entirely written there. Of course edits and rewrites and stuff like that were typically done on our own, but nearly all the writing was there. We both have very busy lives, like all moms, so most of the time our homes are not the most calm and quiet places to write. Starbucks is not necessarily quiet, but no one yells out, “Mom, can I have a pickle?” Let me tell you, the image of a seven year old with a giant pickle jar kind of ruins the flow. It is much easier for both of us to schedule time away from our loved ones to write. Meeting and writing outside our homes also gives us time to catch up with each other. We get to sit back, enjoy a black tea latte or a shaken black tea (depending on the weather), and write. Who could ask for more? Thank you Sara and Staci! Both Sara Dailey and Staci Weber are avid readers, English teachers, friends, wives, and soccer moms. They have been teaching together for the past eight years, and writing together for four. Pack of Lies is the second young adult novel for this duo and they are hard at work finishing the next book in the Red Ridge Pack series; the expected publication date is September 2012. Thank you Sara and Staci for the lovely guest post and to everyone who read this post to learn more about Pack of Lies. This is great! These seem like two fun authors. I'll definitely check out this book. That pickle part really got me... and now I want Starbucks. Thanks for letting us be a guest on your blog today. We are hard at work on book 2 so be sure to look for it in the fall!